Science News is singing the praises of Al Gore’s sci-fi flick 10 years later, saying that Arctic ice is melting even faster than Gore predicted. 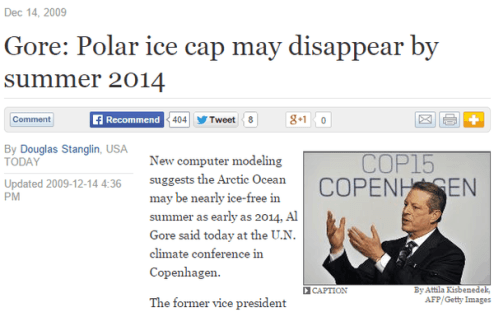 Gore actually predicted the Arctic would be ice-free by 2014. 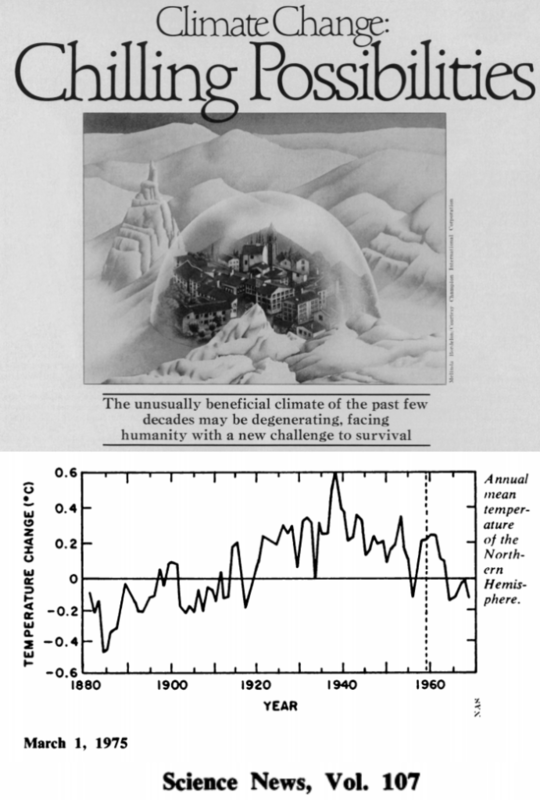 In climate math, 2052 is apparently a decade earlier than 2014. 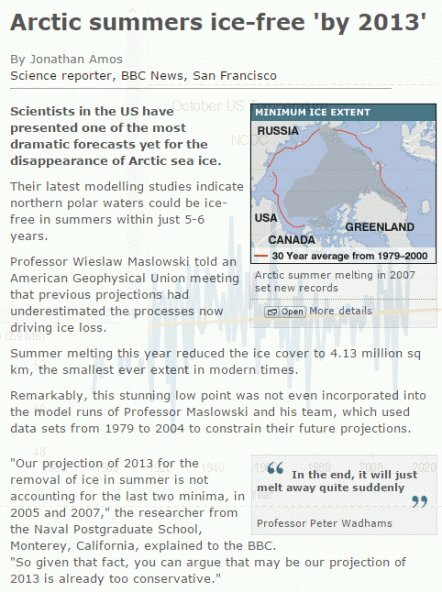 NASA predicted that the Arctic would be ice-free by 2012. 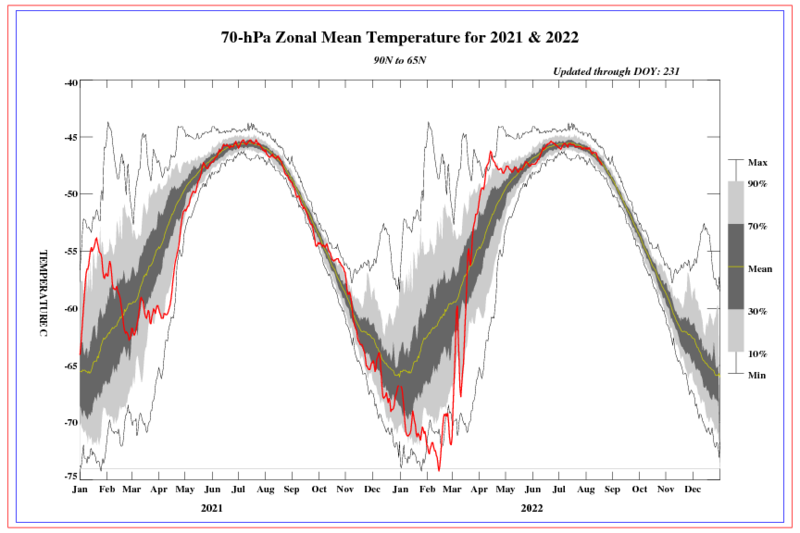 In climate math, 2052 is apparently a decade earlier than 2012. 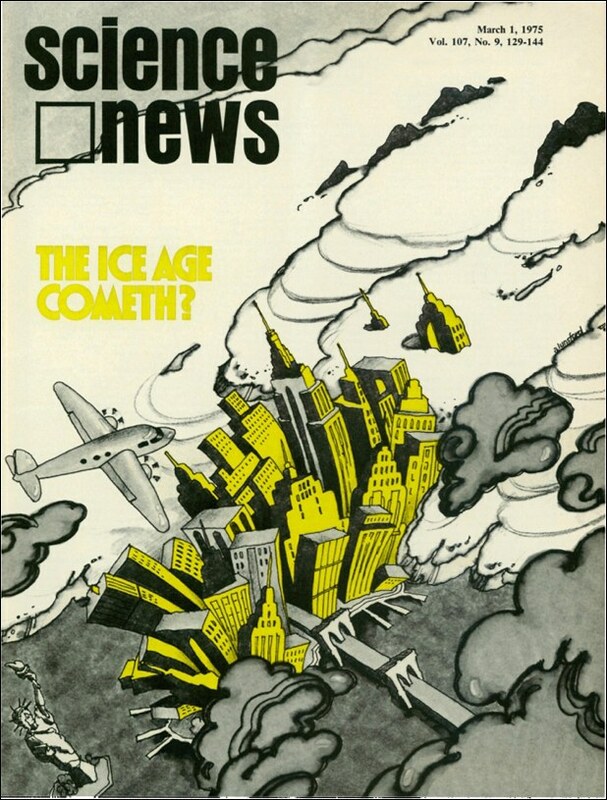 Science News also forgot to mention that 40 years ago they were predicting a new ice age. 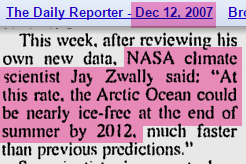 They also forgot to mention that Arctic warming is cyclical, and has nothing to do with humans. it’s one of those “honey, i ran the climate model” papers. 2. Aston’s nuclear packing fraction is the correct measure of nuclear stability; von Weizsacker’s concept of nuclear binding energy is seriously flawed. Actually, they are getting smarter. They have finally learned that they need to place their predictions of utter catastrophe far enough into the future that those who they scare with them will be dead by the time it becomes apparent that they have been conned. Gore’s ineptness was demonstrated by his gloom and doom forecasts for only 5 years into the future. Yea but on the down side for them the same types that would believe this BS as a fad are the very ones that won’t care to do something about it because it’s so far into the future. Hell Obama care came into being because in part so many younger Americans would not carry health insurance and because so many older Americans failed to plan for their futures. How can one really think that a prediction for 50 years in the future will phase the types, and that means a majority in the country, that can’t even manage to save for their retirement? 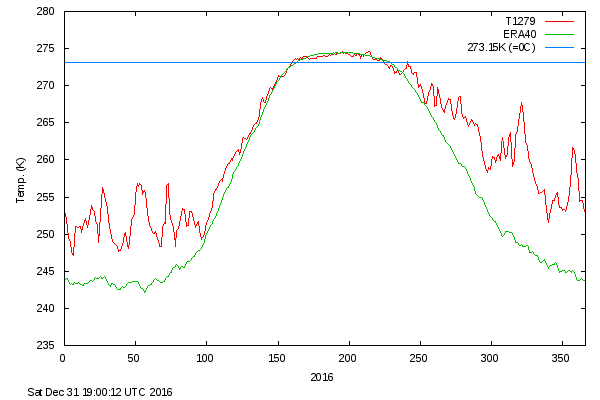 When the chosen “scientific” method climate scientists use is theory trumps data, the results are expected and predictable. They will always be wrong. I read my father’s Science News stack beginning in the early 50sn and subscribed myself in the 70s. After reading some 50+ years of their publication I can’t stomach it any more and let my subscription run out last year. Reblogged this on Petrossa's Blog.